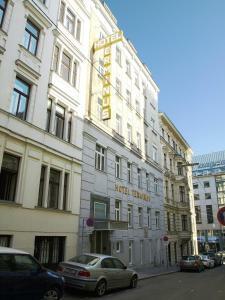 Situated in a quiet side street near the Mariahilfer Straße shopping street, Hotel Terminus offers free Wi-Fi and rooms with satellite TV and a private bathroom. The picturesque district of Spittelberg and the Naschmarkt (open-air market) are only a few steps away from Hotel Terminus. The city centre can be reached in a short walk, and many underground, bus and tram lines are close by.